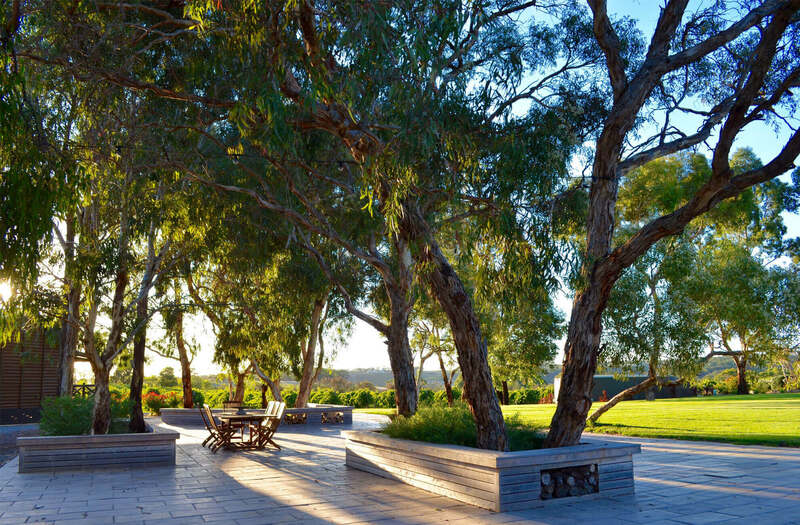 Just fifty minutes south of Adelaide’s CBD, The Vineyard McLaren Vale is a fifteen acre working vineyard offering boutique accommodation in the spectacular McLaren Vale wine region. 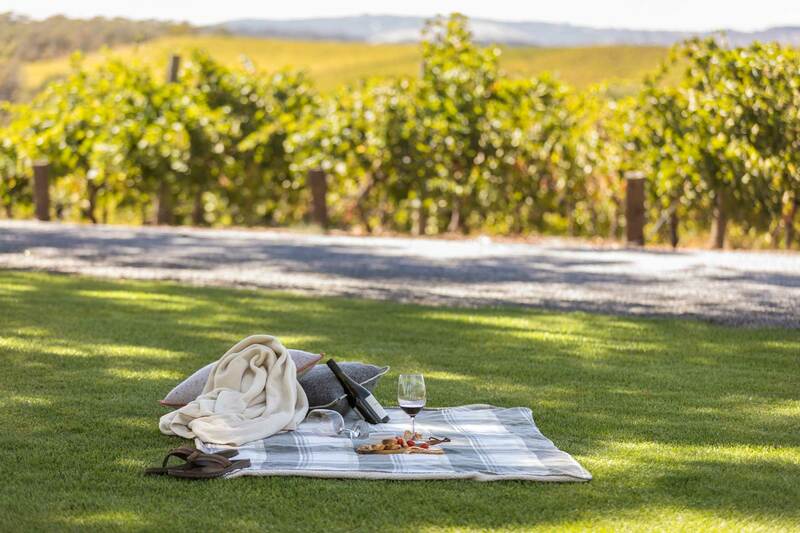 Our superb property is just a short distance from some of the finest cellar doors and restaurants this world renowned wine region has to offer. 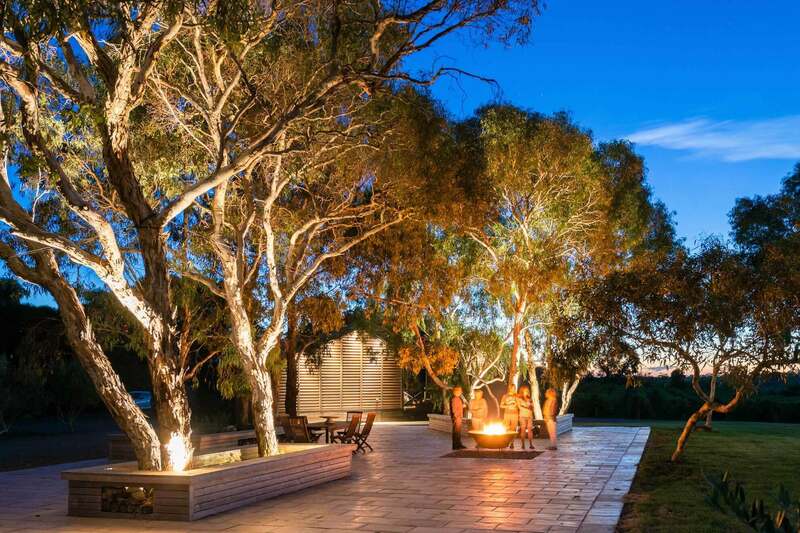 Including such experiences as D’Arenberg and The Cube, Samuels Gorge, Yangarra Estate, The Salopian Inn, Star of Greece, Coriole, Wirra Wirra and many more. Our property offers guests the choice of four elegantly appointed, self-contained guest houses (2 x 1 bedroom and 2 x 2 bedroom/2 bathroom). Each guest house is generously stocked with locally sourced provisions and a complimentary minibar. All guest houses have their own private deck to enjoy stunning views of the surrounding vines and valleys. 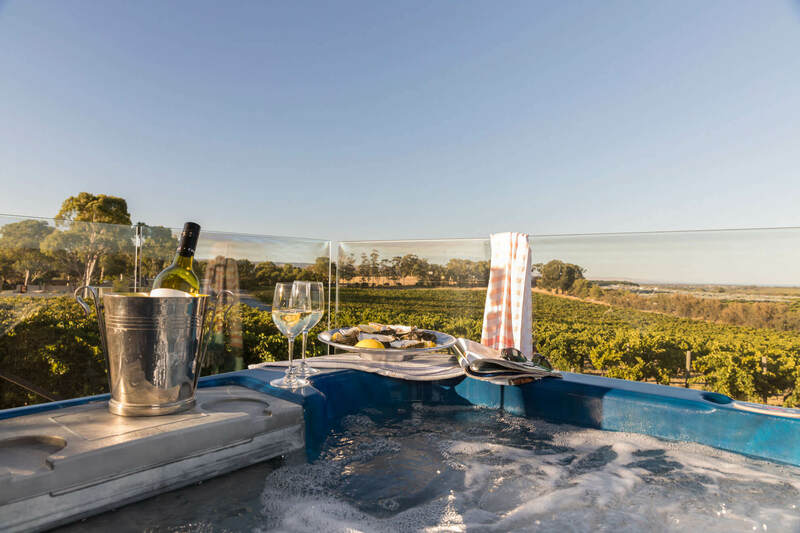 Sporting a view of Gulf St Vincent, all our guests enjoy access to the Jacuzzi located high in the vineyard. 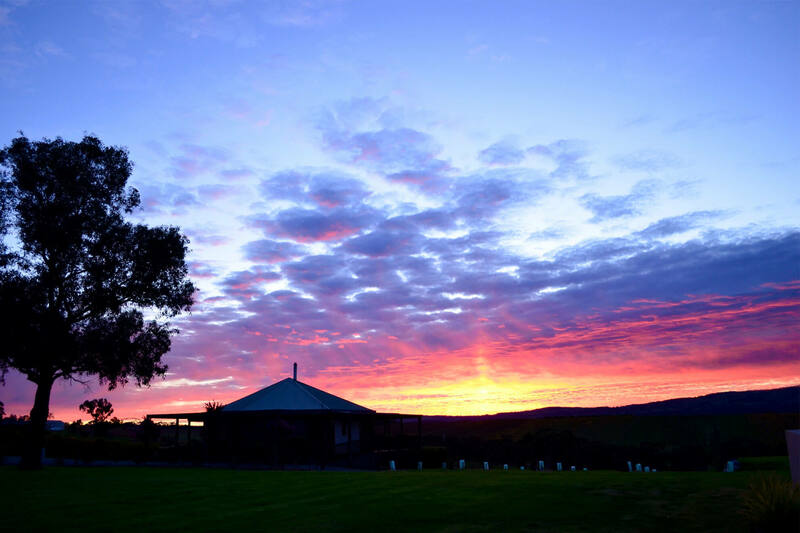 We know McLaren Vale…and we’re passionate about sharing the absolute best of it! We continually evaluate our region from the visitors’ perspective. Whilst we are unable to book your itinerary, we are excited to guide you around our beautiful patch of the world so your experience is the best it can be. 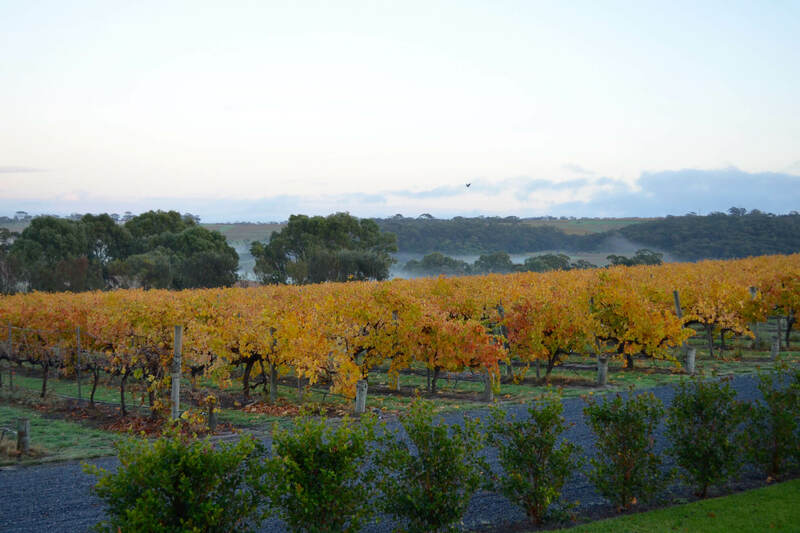 Most visitors come to the region for the wine and cellar doors but there’s plenty more for guests with more varied tastes. Hikers, cyclists, foodies, surfers, market-goers, beach-goers, whiskey fans, craft beer fans…theres something for everyone. When planning your visit, the first port of call is our recommendations which are emailed to you upon booking. Here you will find loads of info which will help you plan your amazing visit. After reading our recommendations, should you have further questions, feel free to call or email Anthea. And finally, rest assured, all our advice and opinions are made solely for your benefit and are free of conflict. We never take any renumeration or “freebies” from anything, anyone or anywhere we recommend…it’s exactly what we would do for our friends and family. The Cross family: Anthea is a born and bred South Australian native and Stu a bit of a mutt from all over. For a decade, from her mid-twenties, Anthea travelled the world, and Stu, who lived in the UK until he was sixteen, went to University and lived for twenty plus years in Southern California. As a couple, they have lived in Sydney, Colorado and California before settling in South Australia with their two young boys. Having seen a fair bit of the world they both feel lucky to be able to live in The Vale and bring you an accommodation offering on par with luxurious accomodation world wide.